I don't know how important it is to you but for many years I did not realise that I could be watching my favorite and up-to-date soaps from England. For a VERY long time I paid for paid TV in Australia (and you have to purchase whole entertainment packages which can add up) just so that I could watch 6 month old Eastenders and Corrie. 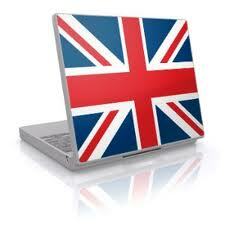 Obviously there are laws which govern what material can be viewed in the UK from another country using the internet. If you are really hanging to watch UK telly you have probably tried to access BBC I-player (and such like) and realised that it doesn't work. This is because there are contractual rights, mainly due to laws relating to subscription i.e. the good old TV licence. The BBC have launched a version of IPlayer that can be used in Australia but it requires a monthly subscription cost of around $9.49 or $89.90 for the year. This will allow you to access to a massive archive of BBC programs but it still will not get you Eastenders. If you purchase a UK Proxy Server you will not only get Eastenders on BBC IPlayer but Channels 4, 5, ITV and any other channels in the UK that allow you to replay episodes once they have been aired. This will not only get the TV shows you miss like mad but it will also allow you access to any radio station from the UK that streams on the internet. The ABC's (Australian Broadcasting Company) channels have many British programs on them. One of the best ABC Channels that I have found (if you have small kids) is ABC for Kids on channel 22. It's very much like watching CBeebies. A Great alternative if you can't afford to pay for paid TV just for a few channels. ABC 3 caters for older kids. ABC Iview is well worth a look if you like British comedy, documentaries and talk shows. The even have an app so that you can take it with you on your mobile devices.